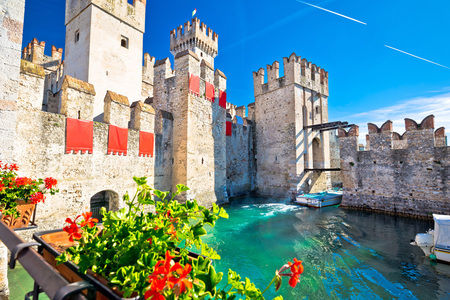 Savour a splendid summertime stay, from this super retreat with private lake view balcony, on-site pool and proximity to the highlights of Sirmione! 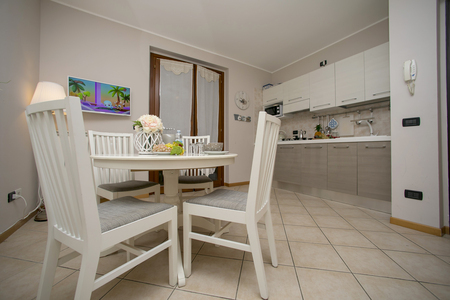 Ideally placed for dipping in and out of Sirmione and the wide range of southern Lake Garda attractions, this modern 1-bedroom apartment promises carefree convenience whilst away. 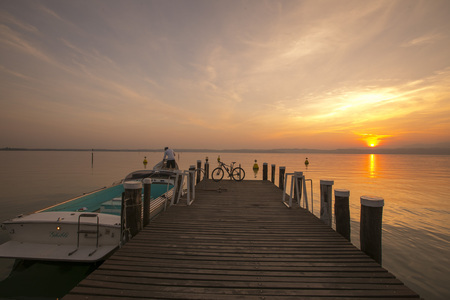 Easily reached by lift, this scenic, balcony retreat provides a flexible holiday base for couples and flexible groups of 4. 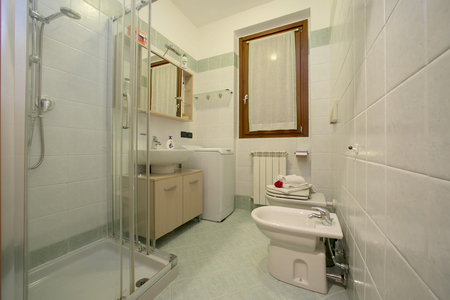 Inside, the stylish 2nd floor apartment boasts air-conditioning and free WiFi throughout. A flat screen TV complements the sofa in the cosy modern living room, whilst a fully-equipped modern kitchen diner is on hand for carefree meal moments. The restful ambience continues through to the inviting sleeping accommodation. 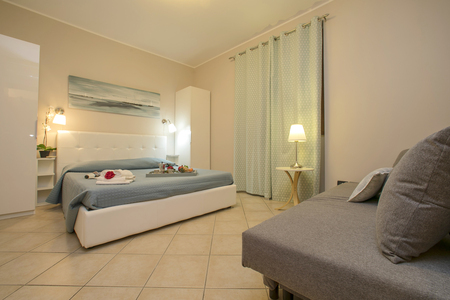 There, a spacious master double bedroom features alongside a double sofa bed in the living room and a contemporary-fitted shower room, with washing machine. 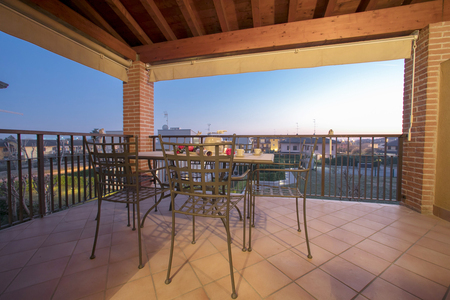 Outside, the apartment benefits from a spacious covered balcony terrace, which is furnished with an alfresco dining set and offers romantic, far-reaching lake views. 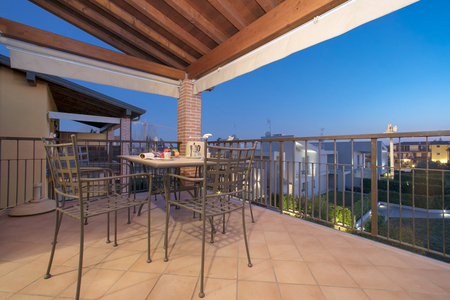 The 3-storey apartment residence enjoys access to a shared garden and a large communal pool (shared by 32 apartments and open from 15 May – 15 October). A private garage is also on hand for guests’ use. 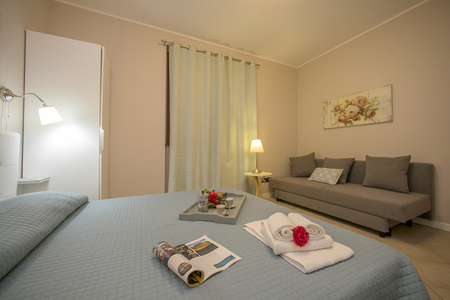 Guests are placed within a 1-3 minutes’ walk from the local neighbourhood restaurants and 5 minutes’ drive from the ‘Spiaggia di Lugana’ lake beach. 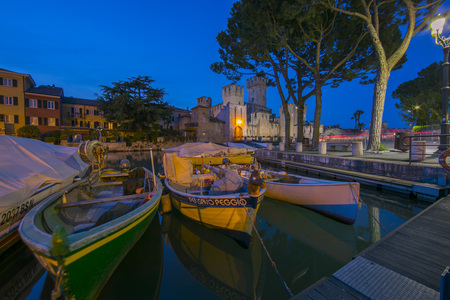 The vibrant centre of Sirmione is reachable by car in just 6 minutes. 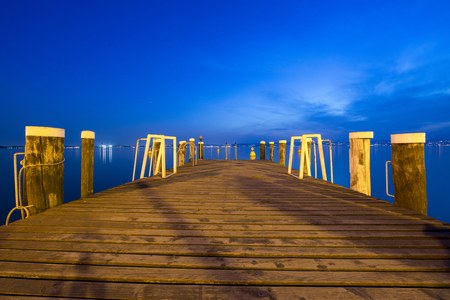 Lake Garda’s family theme parks are all within a comfortable driving distance too, so everyone will be kept happy! Sleeping- Livingroom: A double sofa bed for 2 is provided Bedroom 1: Generously-proportioned bedroom with a double bed, a sofa & wardrobe Bathroom- Bathroom 1: A modern shower room with basin, WC bidet & universal shaver plug Additional- • Air-conditioning • Central heating • Flat screen TV • Free WiFi access • Universal shaver plug • Ironing facilities • Clothes horse • Alfresco dining set for 4 • Lift access • 36 external steps (there is also a lift, which avoids these steps) • Shared garden • Communal pool (open 15 May – 15 October) • Pool shared by 32 apartments in total • 2 sun loungers provided • Private garage • Free public parking is also provided Location: The holiday retreat is located along ‘Via Ortigara’ in the neighbourhood of Lugana. Guests can enjoy proximity on foot to the many authentic local restaurants and eateries. 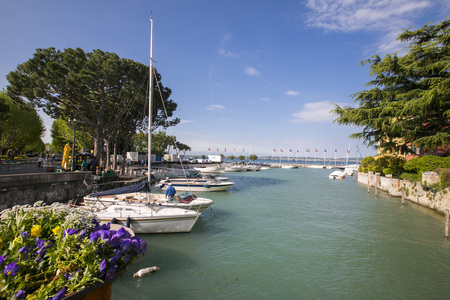 The popular ‘Spiaggia di Lugana’ is just 5 minutes’ drive away, whilst the buzzing resort centre of Sirmione is only 6 minutes’ drive away. The nearby theme parks of Gardaland and the Caneva Aquapark are both reachable by car in under 24 minutes. 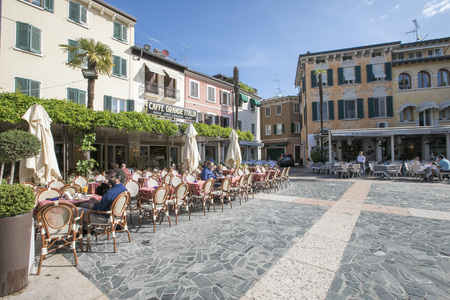 For those flying in, the nearest airport is Verona’s Villafranca (34 minutes’ drive away).